Marianne Shearer is at the height of her career, a dauntingly successful barrister, respected by her peers and revered by her clients. So why has she killed herself? 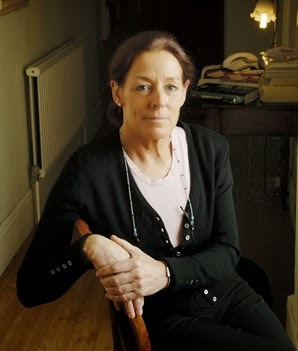 Her latest case had again resulted in an acquittal, although the outcome was principally due to the death of the prime witness after Marianne’s forceful cross-examination. Had this wholly professional and unemotional lawyer been struck by guilt or uncertainty, or is there some secret to be discovered in her blandly comfortable private life? Her tenacious colleague Peter Friel is determined to find out if that last trial held the reason for her taking her own life. The transcript holds intriguing clues, but it is another witness at the trial who holds the key to the truth. What would make a woman take her own life, especially one who seems to be at the top of her game, one of the most feared, admired and respected barristers in England? Could it be that having a brilliant career was not enough for Marianne Shearer? Perhaps her reasons—her motivations, so to speak—go much deeper than anyone really suspects because, in fact, no one truly knew Marianne at all. Getting to the truth behind her seemingly inexplicable action will lead more than one person down a twisted path and secrets will be revealed that will have lasting effects. In the end, truths will come out that no one could possibly have foretold. During the first third or so of this book, I occasionally put it down, finding it more than a bit slow, almost dense. I began to realize that was because there are so many diverse characters who need to be properly introduced to the reader. All of them have an important part to play so we do need to understand them as much as possible although no “normal” person could ever truly understand a monster like Rick Boyd. I liked a few of these players, especially Peter, and either disliked or had no real feeling for others but Hen is the centerpiece. By turns, she is frustrating and appealing, seeming to be vengeful and sorrowful at the same time and she has every right to be both. In the early stages, I thought she was rather dull but then she began to come to life in my mind and, in the end, she became something of a heroine, albeit with flaws. The answers that finally come to light and the consequences of Marianne’s death are quite simply mindbending considering the coincidences that have brought all these people together, people who, in any other circumstances, would never have had any connections. Coincidence is, in fact, the cornerstone of a mystery that, when solved, brings a sense of satisfaction even though the results are not what one would normally expect in a law-abiding world. I’m very glad I stuck with the book through those early slow pages and recommend Blood From Stone to any reader who enjoys psychological as well as criminal perplexity. Reviewed by Lelia Taylor, December 2013. The trial had gone wrong on her, with the right result, certainly, one achieved through exploitation of weakness, legal argument, bullying, manipulation and luck. The suicide of the prime witness could only be called a misfortune. A thoroughly professional hatchet job on her part, in other words. It was for the prosecution to prove their case and for her to destroy it; she had done the latter but the result would not cover her with glory simply because it would be seen as an outrageous piece of cruel luck, rather than advocacy. She would not want to say goodbye. She would never want to see him again, but he was fresh out of jail and for the first time he was leaving the court via the front door and not via the prison van. The prison van, he had told her, was an exquisitely uncomfortable mode of transport, like traveling on the inside of a human time bomb complete with molded plastic seats and manacles. 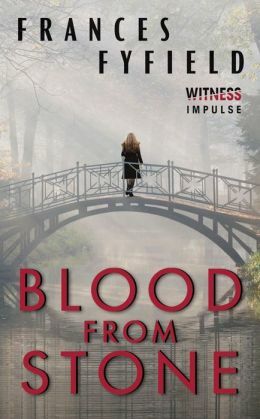 This entry was posted in Blog Tour, Full Reviews, My Reviews and tagged barrister, England, mystery, psychological suspense, suicide, Witness Impulse. Bookmark the permalink. I enjoy legal and psychological thrillers. This is something I would love to read! I like your “criminal complexity” comment; I tend to find authors who develop stories around fully realized characters tend to develop complex novels and that is usually a good thing for fans of the genre. Thanks so much for sharing your thoughts with us.